If one is unsure about who built the Round Tower, one can quickly find the answer by casting a glance at the crowned monogram that is part of the golden rebus on the tower’s façade. Should one not be in the immediate vicinity of the tower, one can have a look at one of the many depictions of it. Almost all of them correctly identify the monogram below the crown as belonging to King Christian IV (1577-1648). 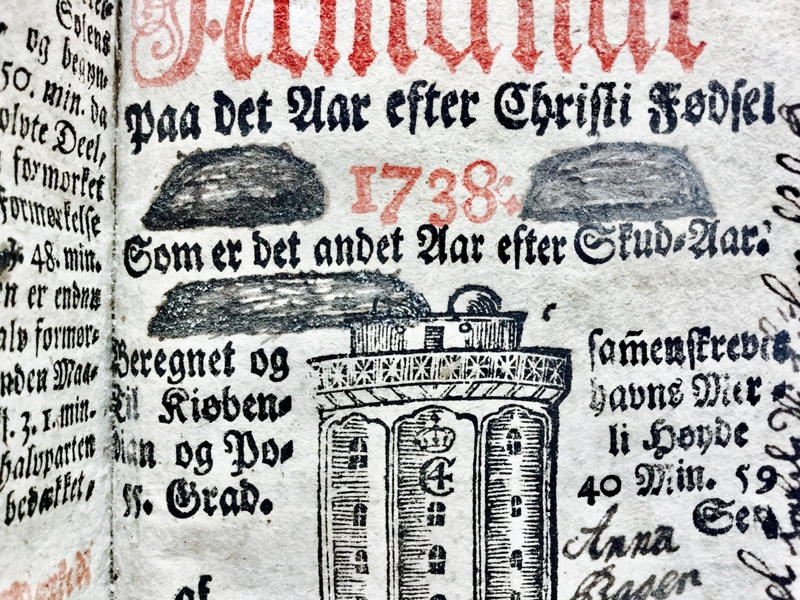 Except, that is, for the older volumes of the University of Copenhagen’s official almanac, which had the Round Tower on its front page for almost 200 years. The inaccuracy was caused by the fact that from the 1680s on and in the 50 years that followed, reality had to be altered in order to fit the self-representation of the king in power. 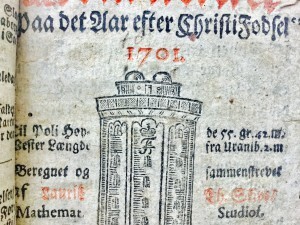 It was thus initially Christian V’s (1646-99) and subsequently Frederik IV’s (1671-1730) monogram that adorned the tower’s façade on the front page of the almanac. The monogram of the latter even stayed on the almanac some time after his son, Christian VI (1699-1746), had become king, apparently because no one had discovered that it needed to be changed. Eight years went by after the death of Frederik IV before his monogram was changed – this time to the right one. One could rely more on what was inside the almanac, or that was at least the intention. 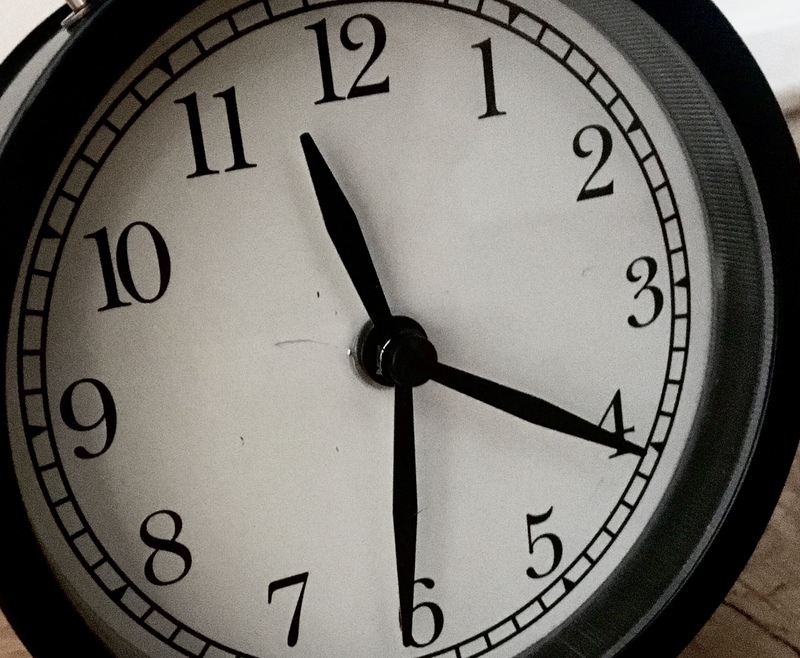 This was the reason why the Round Tower appeared on the front page – as a token of the university vouching for the authenticity of the content. 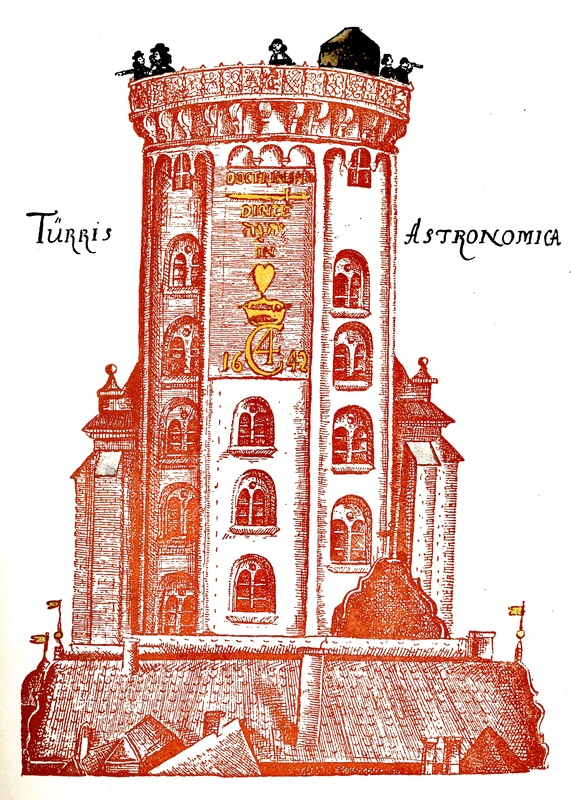 The university observatory was situated at the top of the tower until 1861 and the Round Tower was not removed from the almanac’s front page until a couple of years after the university observatory was moved. 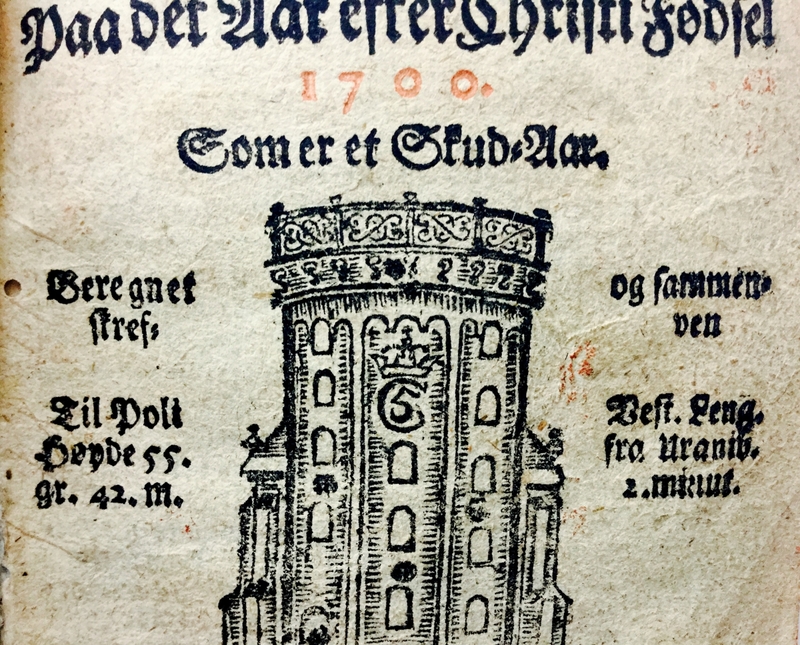 The image of the Round Tower on the front page also indicated where one had to hand over money if one committed an offence against the university’s privilege to publish the almanac. 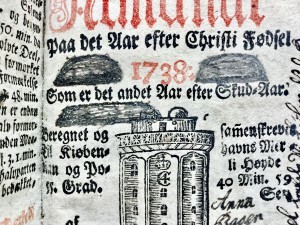 If doing so, one had to pay 300 rigsdaler to “the Round Astronomy Tower at the Trinity Church here in our royal residence town Copenhagen”, as it was stated in the royal almanac privilege from 1685. The privilege in 1685 was not the first example of the royal power trying to control the publication of the almanacs, a kind of extended calendars, which were some of the most popular printed matters at that time. In 1578, for instance, Frederik II (1534-88) granted a professor of mathematics at the university the exclusive rights to write and publish almanacs. However, it did not seem to help much. His successor, Christian IV, was more successful. 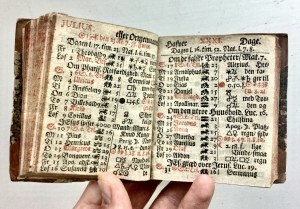 In the early 1630s, the King had grown so tired of the predictions of all sorts of disasters, which were an essential part of the almanacs at that time, that he issued a ban against publishing any prophecies in the almanacs and granted the university the sole rights to publish the new ones. 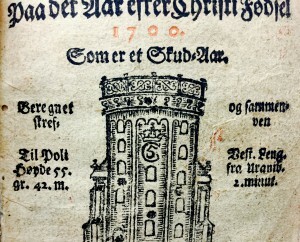 Christian IV issued the privilege in 1636, around the same time as he began to think about building the Round Tower. Just as the tower, the privilege thus reflects his support of astronomy. It also, however, falls well in line with the prayer that is expressed in the Round Tower’s golden rebus as a wish for the right Lutheran doctrine to be led into the King’s heart. In the Bible, the prophet Ezekiel warns that the Lord’s hands “will be against the prophets who see false visions and utter lying divinations”, and in the orthodox form of Lutheranism, which was dominant during Christian IV’s reign, the Old Testament played a major role, also in the body of laws. 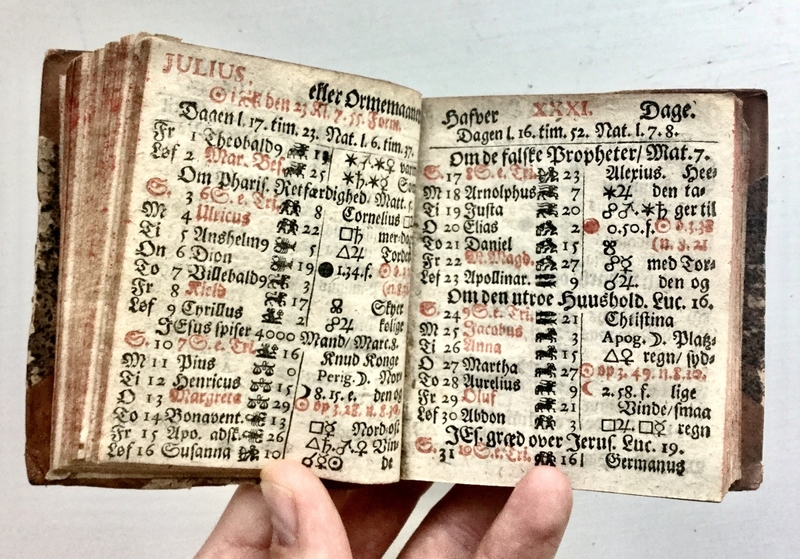 Christian IV might have been successful in eliminating the prophecies of war, plague and other calamities in the almanacs, but it was more difficult to get rid of another kind of predictions, namely the weather forecasts. 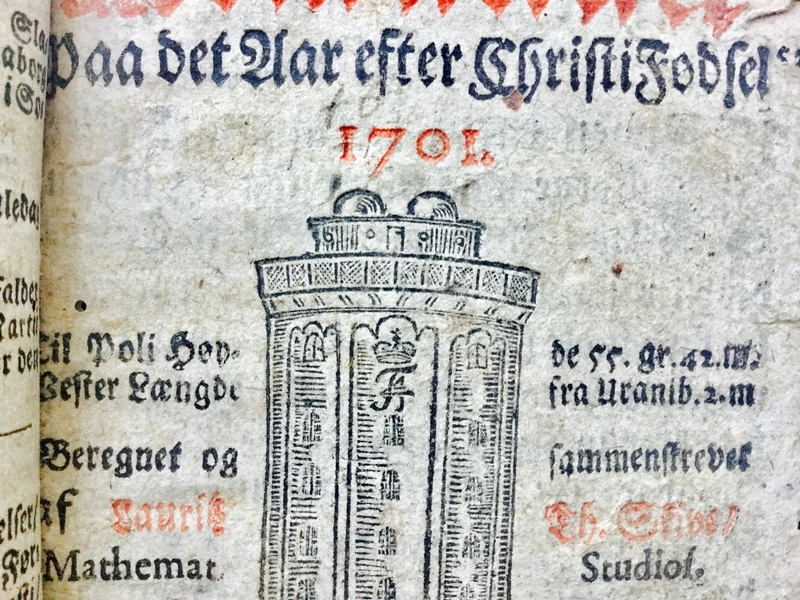 The dubious weather predictions did not disappear until 1685 when the first almanac with the Round Tower on the front page was published. They were, however, so popular that they soon found their way back into the almanac’s calendar view. For example, in the almanac from 1701, it is possible to read that “the heat is increasing” during the week beginning on Sunday, July 17. Curiously enough, one can also read that the text about “the false prophets” from the Gospel of Matthew will be the focus of the sermon on that same Sunday. A hundred years later, attempts were once again made to get rid of the weather prophecies. When astronomer Thomas Bugge (1740-1815) had taken over the leadership of the observatory at the Round Tower and thus the responsibility of the almanac, he left out the weather forecasts in the 1779 and 1780 volumes. When the books did not sell, though, the lessee of the almanac complained to the university, which ordered Bugge to bring the meteorological reports back. 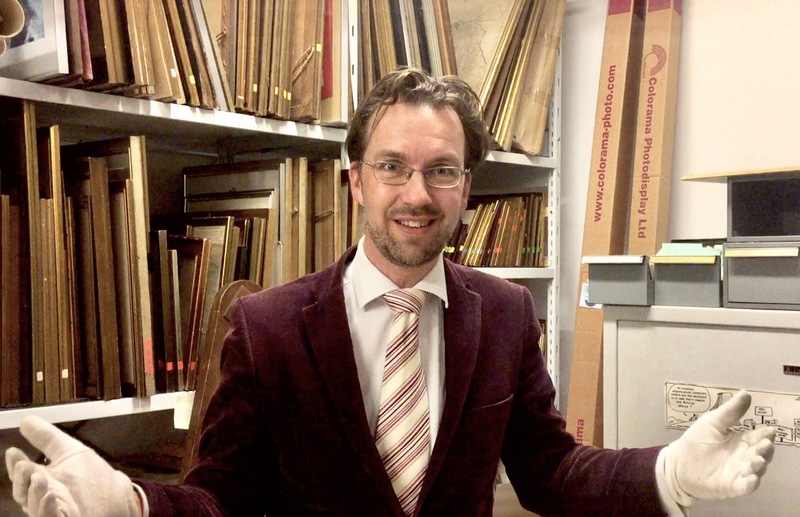 The whole affair was described in an article written by the university professor Rasmus Nyerup (1759-1829), who in the same article admits that he had also invented meteorological warnings for the almanac “for the sake of good words and payment”. However, the work only lasted a couple of years since Nyerup, who was a peasant’s son himself, allegedly had a guilty conscience. “He certainly could not,” he writes about himself, “without sadness, see a poor, ordinary, guileless peasant trustingly turn to his almanac in order to find out how next week’s weather would be”. The weather warnings did not disappear from the almanac until 1833. “All the attempts that have been made to predict the weather a year or more in advanced have therefore failed” the explanation stated, “and the weather indications, which according to an old but not good custom, have been published in the almanac until now, have therefore been omitted since they are completely unreliable”. The change is a rather late result of an effort that was initiated 50 years before to enlighten the rural population. When the almanac was published in 1782, the psalms and prayers that had appeared in it for a period of time, had now been removed in favour of minor articles from the Royal Danish Agricultural Society, which was to be “useful and enlightening for the peasant in particular”, as it was noted. Ten years later, for instance, the peasant was offered instructions on how to make redcurrant wine. This information was apparently so important that it was concluded with the following suggestion, “It would be very useful if this almanac was saved like the previous ones”. The many almanacs that were produced throughout the centuries were, however, only poorly saved. Perhaps they were worn, perhaps they were considered worthless as soon as the year had ended. But with a few hundred years of distance, even the valueless things become valuable and the almanacs are no exception. The small deviations in the fixed template tell us about the tendencies in society and about the perception of religion, science and enlightenment. As well as about the Round Tower being a symbol of everything being done properly. With or without the correct monogram.